I've always liked Bible Promise books. This one is geared for graduates, and makes a great gift for a grad. It is embossed with the year 2018, and has a place inside for a "to" and "from", along with the date. This small book covers a lot of topics and Scripture verses that are pertinent for anyone, but especially for those graduating from school and facing the world. It is well put together, and definitely is something a graduate can treasure and use for years. 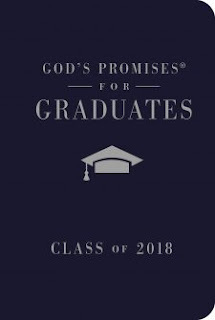 God's Promises for Graduates: Class of 2018 - Navy NKJV is available from Thomas Nelson. It isn't every day I read a Christian novel that has immortal people in it. The book sounded intriguing, and I had read a book by the author before that I liked....so I requested it. The book was different, and that is an understatement. And I really enjoyed it. An author's characters can make or break a story, and Stevens did a great job on creating unique and likable characters. David and Zach especially made the story. In addition to the entertaining and inspirational aspects of the story, Stevens did a great job portraying what life might be like for an immortal person and the challenges they may face. This was a fast and entertaining read that I enjoyed even more than I expected to. Stevens has come up with a very unique book for the Christian market that is definitely worth reading. 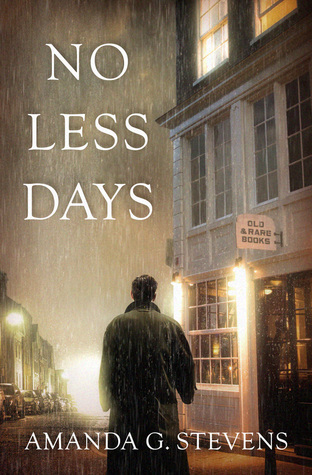 No Less Days is available from Shiloh Run Press, an imprint of Barbour Books. The years have built so much distance between them, but it's the secrets that may be their final undoing. Send Down the Rain reminds us of the beauty of truth . . . and the power of love to wash away the past. Charles Martin is a master storyteller. Every time I think he has written his best novel, he writes another that is even better. And this book.....wow. 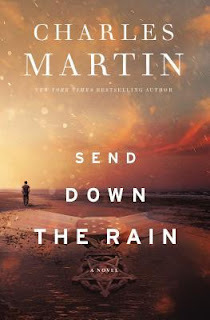 Martin always comes up with some great characters, and this book was no different. At the heart of the story is Joseph, returned soldier now 62 years old. He lost the love of his wife to his older brother, who destroyed the marriage. He lives alone, but can't help protecting and helping people. This book, though fictional, is a powerful story of love and forgiveness. The climax of the story happens in a courtroom. 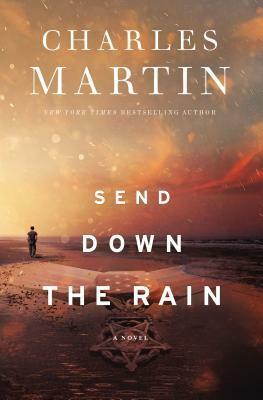 Martin has a way of throwing a curve ball the reader never saw coming, and there was a major curve ball. I am not ashamed to admit I cry in books and movies, and man did that part of the book do me in. Maybe it was foolish on my part, but I just read that part of the book again til the end and had tears streaming down my face. Martin's books are rarely overtly Christian, but this amazing story shows the love and forgiveness God offers all of us. It also shows it is never too late for any of us. Most books of this type are centered on people in their 20's and 30's, not 60's. This is a story of 2 brothers, and of one that was wronged by the other in ways that are unfathomable...yet forgiveness and a total lack of hate was there. It also shows that love truly can conquer all, and there is no greater sacrifice than to sacrifice one's life, or reputation for another. This is truly an awesome read. I'll be honest..... 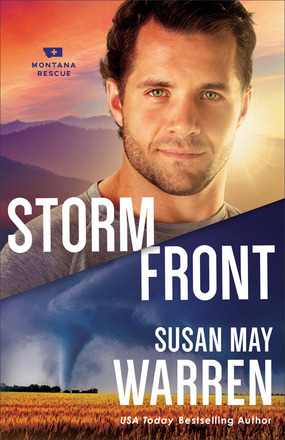 I haven't read a Susan May Warren book in years. 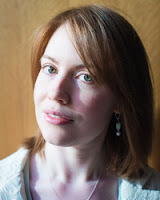 Her books are usually more romance, and I rarely read romance....just romantic suspense. However, this book sounded really good, so I requested it. It came, and I discovered it was #5 in a series. I started reading it on my lunch break at work, and read more on my second break. I texted my sister who loves Warren's books and asked if she had the rest of the series....she has 1-3. I texted her this morning "this book is awesome!" And it is. There were enough references made in the book that I know I should have read the first 4 books before this one, but I don't think it messed me up too much with knowing the characters and what was going on. The characters....I have to hand it to Warren. She came up with a terrific cast of characters for this series. This book centered on two somewhat broken characters, which may be another reason I loved this book so much. First, there is Ty. He wants to save everyone, but feels he is the most useless member of the rescue team because of a past mistake. 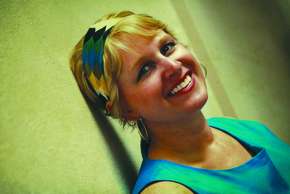 And Brette...cancer survivor of a double mastectomy..... not your typical heroine in a romance novel. The story was very suspenseful..... not in the bad guy/mystery way, but in the way you were on pins and needles as rescue attempts were made and you wondered if the missing kids would ever be found. Along the way, lessons on trusting God came through for all of the characters, but especially for the two broken main characters. I really got into the book, and at one very climatic moment, found my eyes "watering". A co-worker came by my table where I was on break. and goes "are you crying?!" I explained what happened in the book, and he admits he cries in movies...... so I didn't feel so bad. This truly was an amazing read that not only entertained, but also had some great messages in it about our Christian walk and trusting God. It ended with a very suspenseful moment setting up for book 6. And yes, I am going to read the first four books in this great series. Storm Front is available from Revell, part of the Baker Publishing Group. 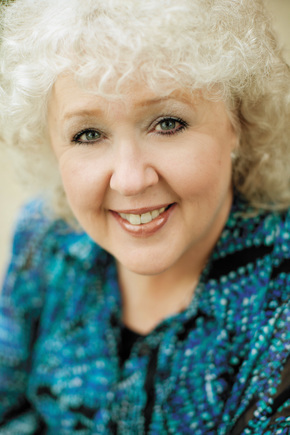 Nancy Mehl has found her niche in Christian suspense, and has risen in my list of authors I like to read. I have enjoyed everything I have read by her, but find this series to be her best. I have respect for law enforcement, but have always found the U.S. Marshals particularly fascinating.... and this series is about the Marshals. Blind Betrayal had non-stop action and suspense, and I had trouble figuring out what was going to happen next. I liked the characters in the book, and it was refreshing to not have a boy meets girl romance. Instead, the two main characters had previously worked together and didn't fall in love at first sight. This was a book I made the mistake of starting on my lunch break at work. It was difficult to put the book down and go back to work, and I picked it up again as soon as I got home. It is a definite page turner, and left me wanting more.... but I am guessing this is the last book in the series. If it is, it is definitely the best and most suspenseful. Blind Betrayal is available from Bethany House, part of the Baker Publishing Group. This next installment in the Read and Reflect series will dive into the lyrics of classic Christian hymns, and give the reader reflection questions, bible study questions, and prayer prompts based around the lyrics. This book got lost in the shuffle, and I just realized today I had never posted the review..... so here it is, late. There are all kinds of Christian songs/music out there, but I personally feel nothing written today has the depth of the hymns. This book is a devotional using 90 hymns. Each devotional in the book begins with the author and composer of the hymn and its music. That is followed by the lyrics to the hymn, a few Bible study questions, a few personal reflection questions, and a short prayer. As I understand it, this book was written by the Broadman and Holman Editorial staff and edited by Lore Ferguson Wilbert. They did an excellent job on the book. The selection of hymns is very wide and varied, with many I know well and some that are not familiar to me. 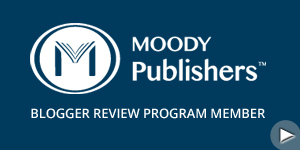 The Bible study and personal reflection questions are very insightful and geared to make the reader truly think and study, instead of just quickly reading and moving on. It is different from most devotionals in that way. Most have the thoughts of the author or authors, whereas this one has the reader come up with their own thoughts. I found the book to be very well done, and a useful tool to use. It helps draw insight from hymns, and also brings the old hymns back to mind. 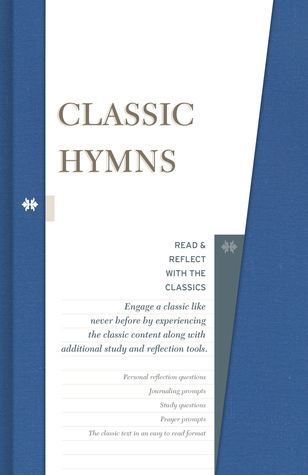 Classic Hymns is available from Broadman and Holman Publishing.